TORONTO, DEC. 4, 2018 – The addition of 13 populations of Chinook salmon from Vancouver Island, Thompson and Fraser rivers to the Committee on the Status of Endangered Wildlife’s list of species assessed as at-risk in this region points to an ecosystem in crisis, WWF-Canada says. “These individual, at-risk designations add up to paint a bigger picture of an ecosystem in trouble. We now have southern resident killer whales fighting to reproduce and survive in an increasingly busy, noisy and degraded environment. Their main food source of Chinook salmon has just been assessed as being at risk of extinction, with 13 populations from Vancouver Island, the Thompson River and Fraser River included in COSEWIC’s recommendations. Add that to 16 Sockeye salmon populations, and dozens of other species already assessed as being at-risk in this region – something is terribly wrong here. 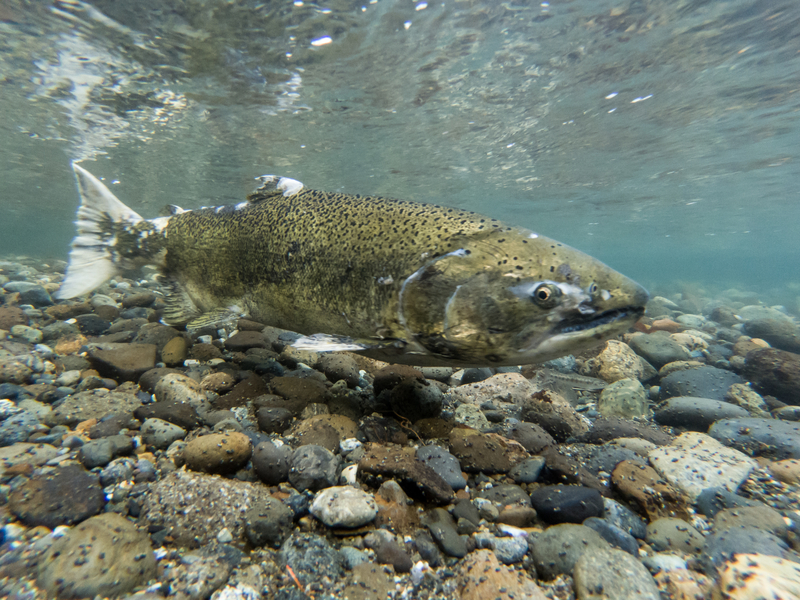 “Chinook salmon have had to contend with warmer water temperatures that affect life-cycle events, degradation of both their freshwater and marine habitats, and fishing. The simple fact is by the time the orcas go to eat, too few Chinook are left to keep them alive and healthy. Other species assessed by COSEWIC include polar bear (Special Concern) and the American bumblebee (Special Concern). 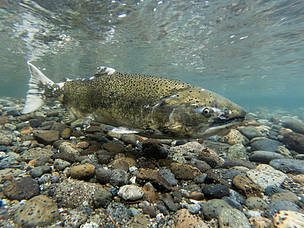 Chinook salmon – 16 populations in the Fraser River, Vancouver Island, and Thompson River – assessed as Endangered (8 populations), Threatened (4 populations), Special Concern (1 population), Not at Risk (1 population), Data Deficient (2 populations). Polar bear – reassessed as being of Special Concern. Wood turtle – reassessed as Threatened. American bumble bee – assessed as being of Special Concern. Black ash – assessed as Threatened. For more information on species decline in Canada, please see Living Planet Report Canada.